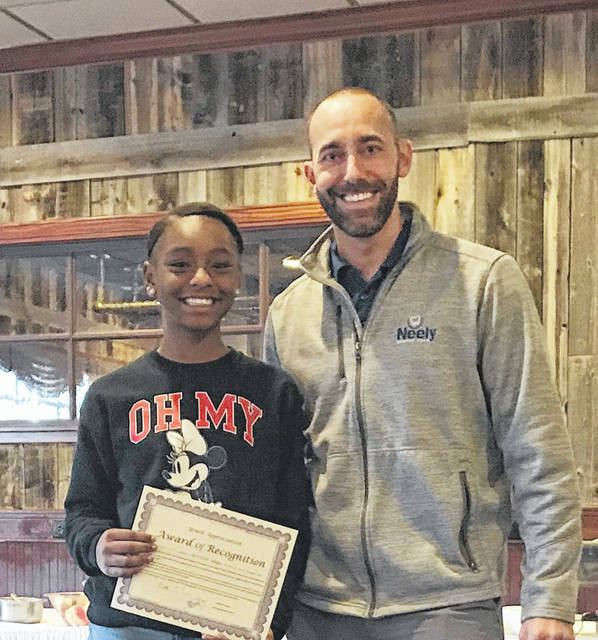 British Adams was the Morton Middle School nominee for the Optimist Club’s 2018 Youth Appreciation Award. She is pictured with Matthew Neely, President of the Vandalia-Butler Optimist Club. Theresa Berry was the Butler High School nominee for the Optimist Club’s 2018 Youth Appreciation Award. She is pictured with Matthew Neely, President of the Vandalia-Butler Optimist Club. 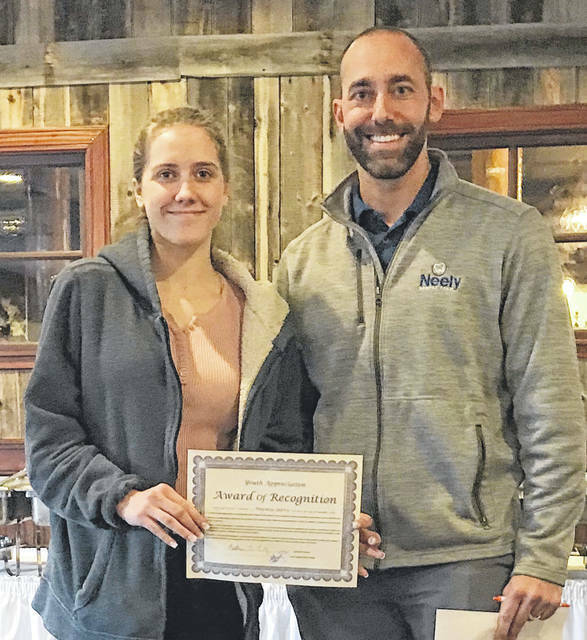 VANDALIA — The Vandalia-Butler Optimist Club honored its two nominees for the 2018 Youth Appreciation Award during its Tuesday meeting. British Adams is a 13 year-old eighth grade student at Morton Middle School. British has moved three times and lived in Texas for eight years before making her way to Vandalia-Butler Schools last year as a seventh grader. The transition was tough, but British finished the year on a positive note by applying to be a WEB leader in May of last year. WEB (Where Everybody Belongs) leaders are eighth grade student-leaders who serve as mentors for our incoming sixth graders. They receive two days of training in August, and they then play an important role in the sixth grade orientation and transition to middle school. Ms. Reinhart, the school counselor, selected British as one of the WEB leaders because she saw her potential for leadership and her fun personality to be attributes that would help make sixth graders feel more at ease. Coming into this school year, British set goals for herself academically and socially. In addition to being chosen as a WEB leader, she also was selected to be on the yearbook committee. Even more impressively, British has worked hard in and out of the classroom and has achieved all A’s and B’s and Honor Roll status for the first grading period. British enjoys dancing and styling hair and has four siblings. In the future, she plans to attend college and would like to possibly study law or work with children. British shared that she is honored to be selected for this award. Butler High School nominated Theresa Berry for the Optimist Youth Appreciation Award. As Mark Peck, her counselor states, “Theresa has come a long way since her beginning at Butler” when she struggled greatly. We are so extremely proud of how she has turned things around for herself and is on track to graduate with her class in May 2019. In addition to academic success, she has been employed at Kentucky Fried Chicken for over a year, presently in a management training program. Theresa’s teachers have noted how she is doing the right things. And part of that future for Theresa is pursuing a career goal of being a counselor.